Salt Lake City has been selected by the United States Olympic Committee (USOC) for a potential bid to host the Winter Olympics in 2030. The USOC board of directors has expressed interest in bidding for future Winter Games but has not determined when a formal bid might be submitted, the USOC said in a statement on Friday. Salt Lake City, which hosted the 2002 Winter Olympics, was preferred to the Colorado city of Denver. "We are truly humbled and honoured to be the USOC’s choice to bid for a future Winter Olympic and Paralympic Games," said Salt Lake City Mayor Jackie Biskupski. USOC chief Larry Probst said Salt Lake City gave the U.S. the best chance to bring the Winter Olympics to the country for the fifth time. 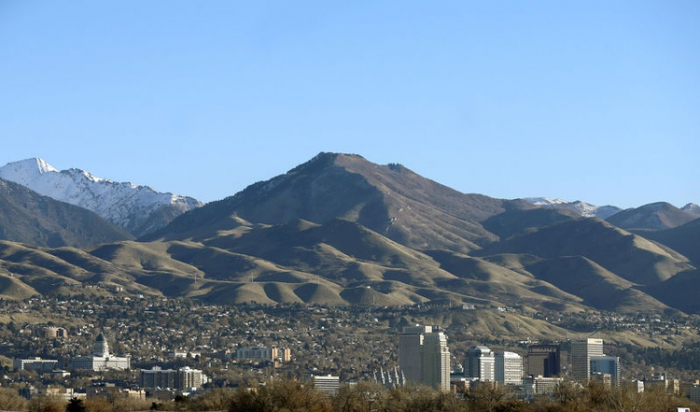 Chief executive officer Sarah Hirshland, in a conference call following the executive board meeting, said the decision to identify Salt Lake as the candidate city would give any bid the best chance of success. "It's worth noting there is no 2030 bid process open with the IOC at this stage but work we will do is to continue to refine the possibility, refine the plan for a possible bid but at this point there is no determination, nor is there an active process for bidding that will take place," she said. "So we have the luxury of some time to ensure with have a very thoughtful plan and collaborative approach. "There is incredible support from the community at large," she added of Utah's most populous city. "They have some very unique advantages and certainly the venues and the existence of those venues and the proximity of those venues is one of those advantages." U.S. Ski & Snowboard welcomed the decision. "The possibility of having a future Olympic Winter Games in the USA is incredibly exciting," said chief executive Tiger Shaw. "Colorado and Utah have created many of the world’s best athletes in our sports and both have been very supportive in hosting world class events." The decision comes at a time when the International Olympic Committee has seen interest in hosting Olympic Games fall dramatically as the size and cost of staging the multi-sport event has sky-rocketed. Residents in Calgary recently resoundingly voted against the western Canadian city’s plan to bid for the 2026 Games. The vote left Sweden’s Stockholm and an Italian bid involving Milan and Cortina d’Ampezzo as the only candidates left in the race. Swiss city Sion, Japan’s Sapporo and Graz in Austria all withdrew earlier this year, while Turkey’s Erzurum was eliminated from the bidding process by the IOC, which will elect the winning bid in June 2019. With Asia hosting back-to-back Games after Pyeongchang this year and Beijing in 2022, and Europe likely to host the 2026 gathering, any bid from the United States for the 2030 Winter Olympics would be a strong favourite.